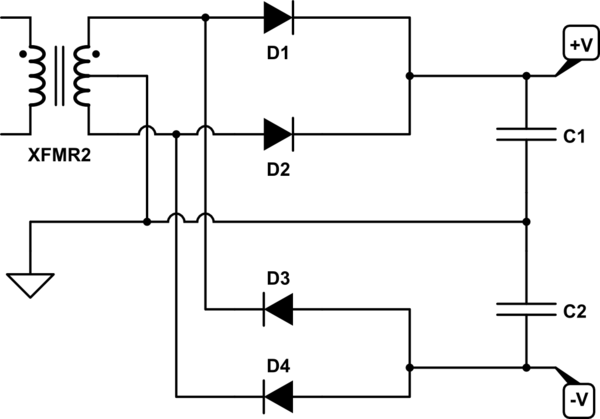 Why Is There Negative Voltage at the Anodes of Two Rectifier Diodes in this Circuit? i've been trying to figure out how this PSU in my amplifier is working by studying the schematic, and would like to check that my assumptions are correct, but also, as per the title, i'd like to understand how this circuit is sourcing its negative rail from a diode bridge. So far as i can see, the diode bridge is acting as a full-wave rectifier, but rather than the voltage passing back into the neutral side of the AC connection through the diodes D209 & D210 respectively (depending on the phase of the AC) as in a typical bridge rectifier, it's being sunk to ground through a center tap on the transformer. The anodes of these same two diodes are then being tapped to provide the -45V negative rail. It seems that in effect these two diodes are in fact not acting as rectifiers, but are instead reverse-biased and blocking positive voltage from going into the negative rail, and that in fact only D207 & D208 are doing the rectification. Is this correct? I have probed the diodes and confirmed this assumption, the anodes are indeed sitting at -45V in reference to the common ground terminal. How then can current pass into the negative rail from the AC side through the diodes D209 & D210 which appear to be reverse biased and thus effectively open circuit..? It would appear to be quite a fundamental rule of electronics that i'm missing. 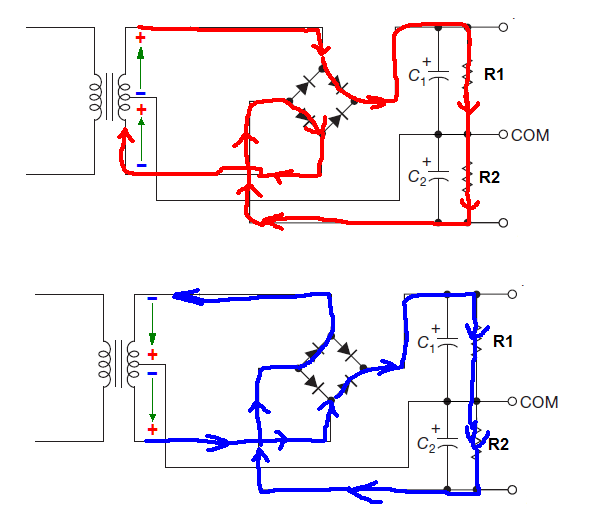 Here you can see how the current will flow in your circuit when the load resistance is symmetrical (\$R_1 = R_2 \$). For positive and negative half. Because the charged capacitor behavior very similar to the "battery". The four diodes do work as a full bridge rectifier. 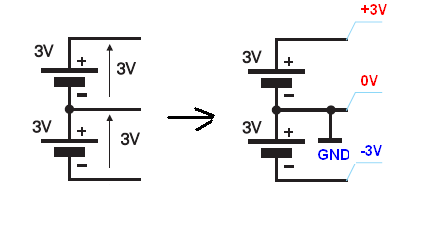 This is a quite common circuit and used in many circuits where a symmetrical supply (positive and negative supply rail) is needed. Can you understand how this circuit works? Now you might notice that there will only be a current flowing through the transformer during half of the sinewave. Either D1 conducts a current and no current flows through D2 or the other way round (no current through D1, current through D2). So half of the time no current is flowing though a diode and the transformer tap it is connected to. Can we use those transformer taps more and also use it for the current in the other direction? Yes we can, see below. 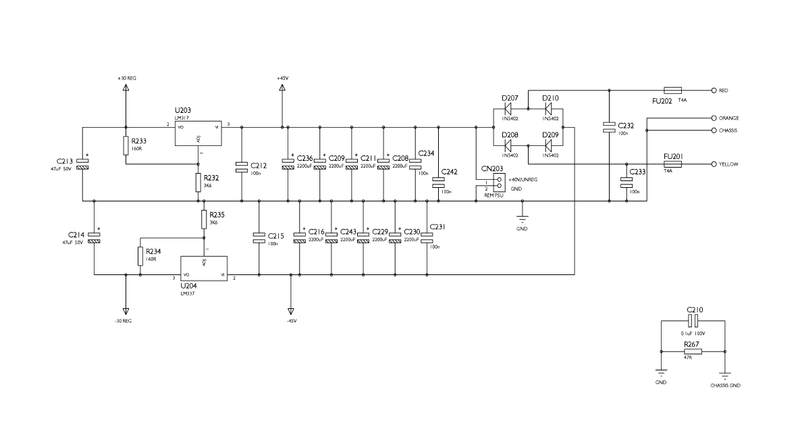 This is exactly the circuit at the right side of your schematic. Here the "previously unused" part of the sinewave is now used to make a negative voltage -V.
It's a center-tapped transformer. The orange wire is declared to be ground, or 0V. At any given time, red will be positive, and yellow negative, OR red will be negative and yellow positive. So either D207 and D209 will be conducting, OR D208 and D210 will be conducting. How to find Voltage based on reference nodes? 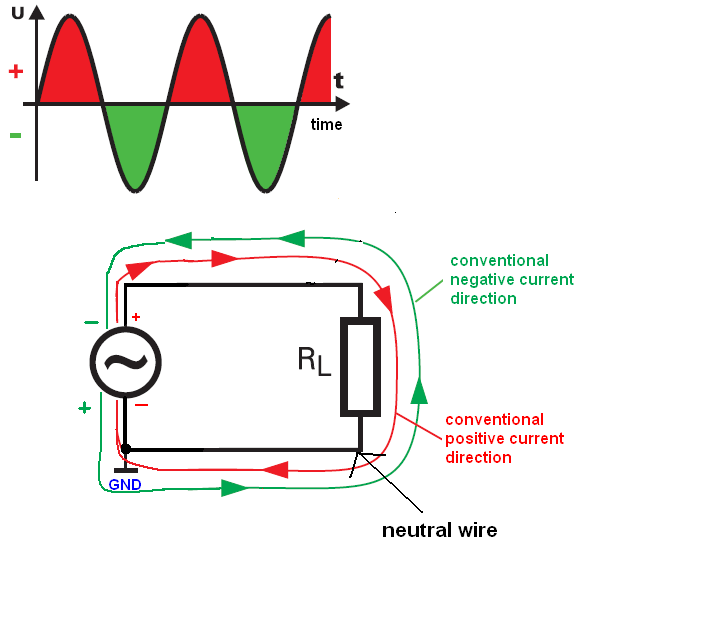 Is full wave rectifier better than half wave one? Why do Schottky diodes have two anodes? Why Does LTSpice Always Show Negative Voltages in a Rectifier Circuit? How to solve a simple diode gate question from Sedra and Smith (Exercise 4.4)? Are Schottky diodes the best option for this application?